Current economic market turmoil has increased interest in Bitcoin and other crypto currencies. Many well informed investors are warning of economic catastrophe for this year. If they are right then a good case can be made for the increase in demand for alternate currency as witnessed in the Cyprus banking crisis. Along with precious metals digital currencies could have huge upside potential in the not to distant future especially if the economic crash that many predict comes to fruition. Numerous risks exist when investing in bitcoin and other digital currencies. Price volatility, cyber theft, computer crashes, system flaws, government regulation and community disharmony are all serious issues that could spell disaster for personal holdings or the value of the currency itself. Blockchain technology (the building blocks of digital currencies) is set to transform the way we move money and other assets around the globe. It has the potential to be the basis of how we trade everything from music and movies to houses and land in a digital economy that has exposed many of the weaknesses of traditional currency exchange. There are ways to buy and store digital currencies that eliminate many of the inherent risks that have seen investors lose their holdings. Cold or offline storage is the safest way to secure your investment and we can provide these services through our cold storage facility. 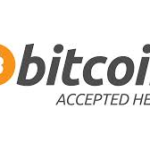 If you want to know more about how you can securely invest in Bitcoin or other digital currency then contact us today for an obligation free chat about this emerging market that might help protect your financial future. We are not investment advisors and do not intend this post to be investment advice. We advise all readers to research the subject themselves before considering investing in digital currencies.